Universitas 21 (U21) and PwC, two globally-focused organisations, are working closely together to create mutually beneficial links between U21’s global student groups and PwC’s clients across its network of firms. This unique partnership will create worldwide talent networks through which U21 students can have exposure to new global work opportunities and where they can communicate their specialist knowledge, skills and talents to potential employers. At the same time, the CEOs of PwC’s clients will have access to a pool of world-class, skilled, motivated students, providing exclusive employability opportunities. This is an important new international student/employer initiative that will enhance and complement existing national university, employer and industry associations. The first initiative in the new collaboration between PwC and U21 will be an online competition platform provided by U21 where CEOs of PwC clients set contemporary, globally-important challenges to which U21 students ‘pitch’ online solutions to the companies. The first regional round will be launched in May 2018 at the U21 Presidential AGM at the University of Melbourne, Australia. This event will also mark the 21st anniversary of the founding of U21 in Melbourne in 1997. For U21 students, the PwC/U21 competition gives them a platform to showcase their educational and research skills and to obtain earlier access to potential employers before the end of their studies, coupled with additional employability and training opportunities. In this way PwC’s clients benefit from the opportunity of an early introduction to the best emerging talent from top-class universities around the world. It also allows PwC’s client CEOs to better identify where they may find students with the specific types of ideas and capacities needed by their industries. U21 students need ‘real-world’ situations to which they can apply their knowledge, to test the value of their technical skills, research ingenuity and talents in the world of work. They also seek ways to identify and address gaps in their skill-sets towards advancement of their own future employment needs and career opportunities. 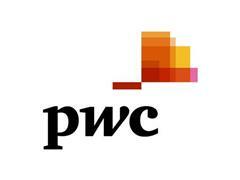 PwC is one of the world’s largest graduate recruiters and has been training and qualifying its people for over 100 years. PwC has extended its experience in developing and delivering graduate talent to its clients and has invested in providing professional education through its network of 35 PwC Academies around the world. U21 already has considerable experience of running online competitions across the worldwide U21 student body, including the U21 Global Ingenuity Challenge for undergraduate students and the annual U21 Three Minute Thesis competition for doctoral students. Universitas 21 (U21) is a global network of twenty-five research-intensive universities committed to the development of internationally-focused higher education and research. A full list can be seen here http://www.universitas21.com/member. 65% of members are in the Top 100 Universities in the world and a further 15% of members are in the world top 200 (QS Rankings 2017/2018, issued June 2017). U21 member universities work together to build relationships and connections across the globe, forging closer collaborations with like-minded academics and professionals than would be possible without the shared membership of U21. Through membership of the network, universities’ students and staff participate in a variety of research, educational and mobility initiatives and have unique opportunities to share best practice and leading higher educational resources. In total U21 universities enrol over 1 million students and employ approximately 150,000 academic faculty and professional staff. Member universities share a common goal of creating strong international footprints in research and education and increasing global experiences for their students through enhanced mobility opportunities and by internationalising their home campuses. U21 is committed to supporting their members to deliver truly internationally-focused curricula and research agendas. A key network commitment is the support of researchers and the education of students who can work effectively and positively across borders as knowledge pioneers.